This LGBTQ+ friendly nightlife staple is located in the heart of the Strip District and is home to a large dance floor and state-of-the-art sound and lighting system. 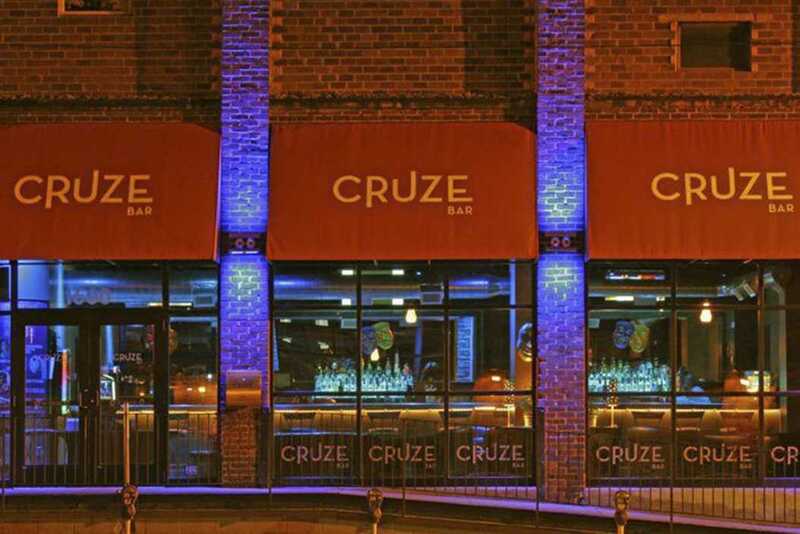 Cruze is well-known for its inclusiveness as well as its high-energy atmosphere, and a few times a month it opens its doors to any and all students over 18 looking to let loose. College Thursdays and Saturday night 18+ events range from wet and wild Foam Parties to bright and flashy Neon Glow gatherings. The dates for these events may sometimes vary, so check the venue’s Facebook event calendar or call to clarify days and times. The cost to attend an 18+ Cruze event is usually around $10. Present your student ID in certain cases to get a student discount of up to 50 percent. Pittsburgh’s most famous under 21 dance hub is the largest nightclub in the city. This 21,000 sq. ft venue holds up to 2,000 partiers along with five soft drink bars and an enormous dance floor, and is open every Friday and Saturday night from 7:30 p.m. to 1 a.m. Party to Top 40 hits and hip-hop tracks blasting at 75,000 watts under incredible lighting and visual effects and maybe enter one of the contests held every weekend with cash prizes. Love to bowl your heart out but not your wallet? Check out Brunswick Zone Playmor Bowl for some cheap fun any night of the week — just don’t stay out too late if you’ve got an 8 a.m. lecture. Playmor Lanes hosts 32 bowling lanes along with a menu of classic American eats. Roll with $2 games and shoes on $2 Tuesdays after 8 p.m. and unlimited bowling on Friday nights after 10 for $10.89. Snack away on laneside fries and wings while sparing and striking under disco lights. Forward Lanes has made a niche for itself in the heart of Squirrel Hill since 1950 and its location is only a 15-minute bus ride away from campus. If it’s Wednesday afternoon and you absolutely must practice your arm swing in a bowling alley with nostalgic mid-century decor, we suggest heading down here. Specials run each day of the week, and during normal hours it costs a grand total of $5 for one game and $3.50 for shoe rentals. Call in to ask about student discounts. Then grab some pretzels from the snack stand and go crazy. Lawrenceville’s favorite bowling center has a different event going on every day of the week. Several are 21 and over, but All-You-Can-Bowl Saturdays and Weekend Midnight Madness events are open to everyone and affordable. Arsenal especially appeals to anybody who’s not a big fan of fluorescent lighting and neon colors, considering it’s on the second floor of a large brick building and houses more old-fashioned technology. Game prices tend to be in the $10 range. Burgers and hot dogs abound. It’s not much of shocker that a museum dedicated to one of the greatest American artists is located in the city of his birth. What is a nice surprise is that Pitt students can browse the museum’s collection of Warhol’s artwork spanning four floors and archival materials for free with a student ID. Head on down to the North Shore during your free time to check out the pop culture icon’s work and enjoy a light lunch at the Warhol Cafe. Make sure to check out the museum’s weekly Good Friday social nights with a cash bar and conversation from 5-10 p.m..
Want to ogle dinosaur bones without straying too far from campus? Get in the Carnegie Museum of Natural History for free with your student ID. It’s only a five-minute walk down Forbes Avenue from the Cathedral of Learning. Hit up the Hall of Architecture to gaze at Greek pillars and Egyptian gates. Then stroll over to the Hillman Hall of Minerals and Gems to admire the collection of priceless gems and stones. The Carnegie Museum of Art is connected directly to the Natural History museum, and houses everything from black-and-white photographs to modernist sculptures. Drop by sometime for a yoga session or a film screening. Make sure to check out Third Thursdays, when the museum is kept open late every third Thursday of the month for patrons to browse the exhibits with music and food. This unique art museum was created in the 1970s by artists to support artists. It caters to lovers of installation art, and is sure to entertain those unfamiliar with the art form as well. The museum is comprised of three buildings throughout the Mexican War Streets in Pittsburgh’s North Side and admission is free for Pitt for students. Examine thought-provoking, site-specific artwork designed to transform your perception of the space it’s built in as you travel between the three charming ivy-covered brick buildings. Check the museum’s online calendar for dates for garden parties and free ARTlabs. Travel for free with a student ID up either the Duquesne or the Monongahela Incline in a railcar to reach the greatest view of Pittsburgh possible. The Mount Washington Overlook provides a spectacular look at the city skyline any time of day or night. Go during the day to see the sunlight glinting off the Ohio River or in the evening to see the lights of the city sparkling in the distance. Hike down Grandview Avenue to examine the cityscape from all angles. Take a stroll around the neighborhood after you finish admiring the view to visit one of the delicious eateries in Restaurant Row or duck into one of the several ice cream parlors or bakeries for a quick, sweet bite. Kayakers are welcome to shove off from land at Kayak Pittsburgh’s North Shore location, located by PNC Park. This affordable venue offers the kayaker a great view of the city skyline as they paddle down the Allegheny River. Splash around Point State Park or head for the Ohio River. Present your student ID to get $5 off your first hour of kayaking. This barrel of laughs is pretty affordable, although the gut you bust might cost you a bit in surgery expenses. The Arcade Comedy Theater features six different shows every weekend. The legendary Knights of the Arcade show, in which a team of comedians and improvisers play a game of Dungeons & Dragons onstage and navigate their quest with suggestions from the audience, is a must see on Saturday nights at 10 p.m. for $12. Also check out the Beta Stage show, which showcases new, experimental and student-generated comedy, including musical numbers and short-form improv, every Saturday at 6 p.m. for only $7. Pittsburgh’s home for longform improvisational comedy has weekly shows where a group of performers take a single suggestion from the audience and use it to perform an entire show made up on the spot. Steel City Improv hosts shows both by graduates of its own improv program as well as outside groups. Entrance fees tend to be around $10. Competitive humorists will want to stop by for the monthly SketchProv event, where two teams perform 15 minutes of improv and then have 20 minutes to write a sketch inspired by their sets, which the audience will vote on. If you’d like to get in on the action yourself, stick around after House Team night every Thursday for the SCIT Improv Jam, where anybody can come and practice their improv skills for free. Games N’ At is a gamer’s paradise with Xbox games including “Gears of War” and “Halo,” more traditional arcade games like “Pac-Man” and air hockey and pinball machines galore. Check out their unlimited play prices Friday through Saturday, starting at $5 for one hour of play, $9 for two and $13 for three. Friday is College Night, so between 7 p.m and 1 a.m. get in for $10 with a school ID. If the average multiplex’s array of action and comedy movies isn’t suited well to your taste, visit any one of Filmmaker Cinema’s three intimate locations to enjoy foreign films, indie productions, documentaries and popular classics. Get into a screening at the Harris Theater, Regent Square Theater or the Melwood Screening Room just off of campus for only $5 with your student ID. Tickets are only sold on-location a half hour before showtimes, so be sure to get there early. Row House is perfect for movie lovers who enjoy films that go together. This historic theater, situated in the Lawrenceville neighborhood, is a single-screen building that chooses a new theme every week. Check its website to see what’s running in the next month. Themes vary as widely as musicals, Quentin Tarantino and Technicolor. Snack on natural popcorn with real butter, soft pretzels and vegan snacks while receiving a dollar off admission with a student ID. This Squirrel Hill venue caters to both the movie buff and the casual watcher alike. The Manor hosts both independent films and documentaries as well as popular new wide-release films. Come see a flick suited to your tastes at one of PIttsburgh’s oldest movie theaters for only $7 Monday through Thursday and $8 Friday through Sunday with your student ID. This former vaudeville theater had made itself a place in the Southside district as a concert venue showcasing all kinds of musical talent — including rock bands, indie groups and local performers. Some events are 21+, so check the theater’s online calendar for it’s numerous 18+ and all-ages concerts. Prices vary but tend to be between $10 and $25. Local and national artists alike have played at this former church turned Millvale entertainment landmark. Mr Smalls’ has a spacious interior that houses 800 standing guests. The large space is perfect for amplifying acoustics and produces some of the sweetest sounds in the city. Check the theatre’s online calendar for 18+ and all-ages events. Prices tend to be between $10 and $25. This venue is one of Pittsburgh’s oldest all-ages show spaces, showcasing lesser-known touring acts and local talent. Known for its inclusiveness, Mr. Roboto strives to be a safe space for everyone in the local community while exposing them to Pittsburgh’s underground music scene. Prices for this venue tend to be between $10 and $20.